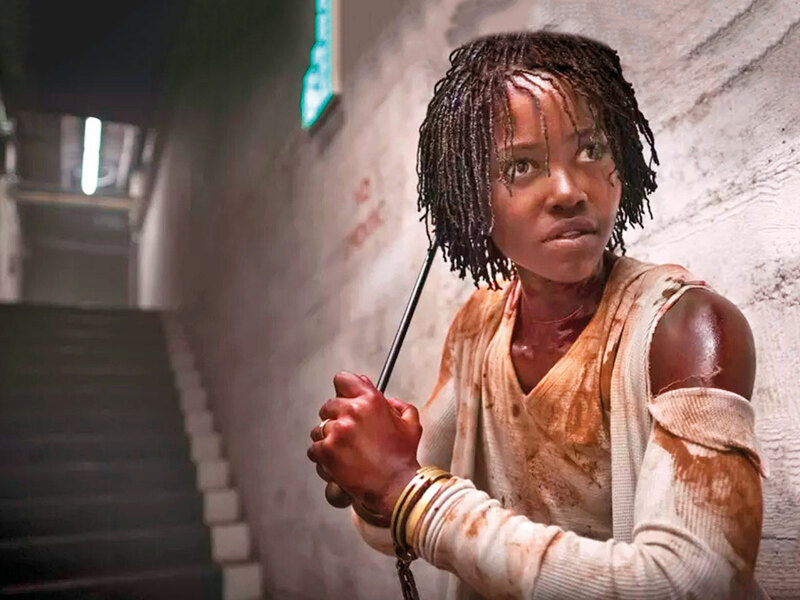 At the beginning of ‘Us’, Jordan Peele’s latest assault on your nerves and expectations, we learn that thousands of miles of empty tunnels _ abandoned train routes, mine shafts and the like _ run beneath the continental United States. If you still haven’t shaken off the spell of ‘Get Out’, Peele’s wickedly sharp 2017 directing debut, you might be reminded of “the sunken place,” that surreal zone of physical and psychological paralysis that became a terrifying metaphor for black enslavement. 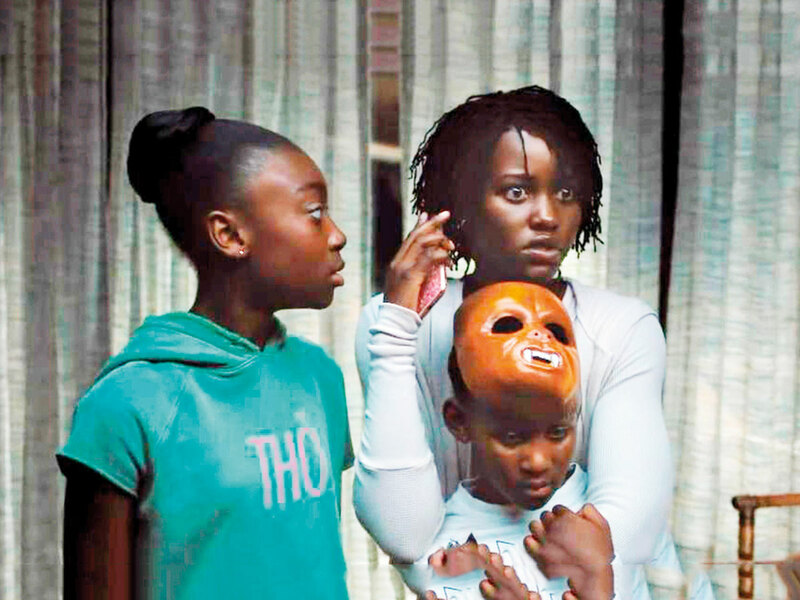 There’s a different kind of sunken place in ‘Us’, but the less said about it the better, and not just because this movie cries out to be seen in as unspoilt a mindset as possible. The points of connection between ‘Us’ and ‘Get Out’ are worth acknowledging, though at the risk of overstating them. Once again, the director draws upon the sketch-comedy gifts he honed on ‘Key & Peele’ to achieve an artful, ruthless balance of horror and hilarity. ‘Us’ is a tour de force of comic tension and visceral release, a movie that weaponizes our chuckles against us and reminds us that laughing, screaming and thinking are not mutually exclusive pleasures. At the same time, Peele has no interest in exhausting the same bag of tricks. The twisted satire of racial animus that made ‘Get Out’ such a conceptual triumph has no real equivalent here (it would hardly be as singular an achievement if it did). The fresh terrors that Peele inflicts on his protagonists — a black family of four on a less-than-idyllic vacation in sunny California — have nothing to do with the few white characters in their midst. The story’s most disturbing implication, succinctly stated by its title, is that we are always our own worst enemy, susceptible to an evil that comes from within. This is a troubling if hardly original notion, but the genius of ‘Us’ is that it explores and sustains the conceit in a way that is both amusing in its literal-mindedness and thrilling in its imaginative energy. It begins with a chilling prologue set in 1986, when a young girl (Madison Curry) visits a Santa Cruz boardwalk carnival and is left unattended by her parents. She wanders down to the beach and into a funhouse of mirrors, where she has an unexplained encounter that leaves her deeply shaken. 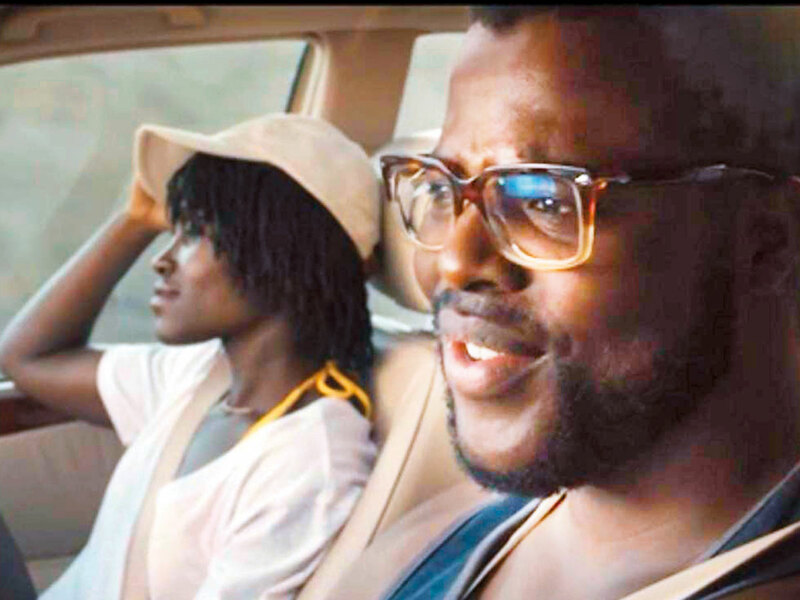 The story proper begins three decades later, when the fully grown Adelaide Wilson (now played by Lupita Nyong’o) heads back to Santa Cruz for a summer holiday with her family. She’s still reluctant to return to that fateful beach, but any lingering trauma remains hidden by a veil of suburban normality. Her husband, Gabe (Winston Duke), is an affable goofball. Their daughter, Zora (Shahadi Wright Joseph), is a moody adolescent and rising track star. Their young son, Jason (Evan Alex), is an odd duck and a bit of a loner, fond of playing creepy games and hiding behind a mask. The fun of this early stretch comes from watching the movie outline these characters (and set up future narrative payoffs with a few quick, incisive brushstrokes). It also comes from spotting the many cinematic references — a kid in a mask named Jason, a ‘Jaws’ T-shirt on a crowded beach — from a filmmaker with an effortless command of the horror lexicon. One night, the Wilsons are confronted by another family standing in the driveway of their vacation home, a family to whom they bear an unsettlingly perfect resemblance. Who are these strange, menacing doubles? Why are they wearing red jumpsuits and wielding very large, very sharp golden scissors? What exactly is Adelaide’s evil counterpart (the end credits name her “Red,” but I like to think of her as Badelaide) talking about when she speaks of “shadows” and “untethering”? Why does her halting, rasping delivery — one of the creepiest aspects of Nyong’o’s sensational performance — sound like the voice of someone whose lungs have been crushed underfoot, who hasn’t been able to breathe for years? Like ‘Get Out’, ‘Us’ is an experience of extraordinary dread-soaked momentum, even if Peele is still learning to differentiate between his “A” jolts and his “B” jolts. There are one or two moments when the terror and the comedy don’t fuse so much as fight each other, as Peele (knowingly) pushes his characters’ panic beyond the limits of what we might call reasonable horror-movie stupidity. But beyond the jittery mechanics of attack and pursuit, what lingers is the unnerving intimacy of the whole situation, the terrible and mysterious sense of kinship that binds the Wilsons to their malevolent alter egos. They include Elisabeth Moss, pocketing a few superbly chilling scenes as a friend of the Wilsons hovering on the sidelines of their nightmare. Duke, so winning as M’Baku in ‘Black Panther’, has fun playing the bumbling paternal doofus, while Wright Joseph and Alex establish a poignant bond as two bickering siblings brought together by the unthinkable. But the movie belongs rightly and effortlessly to Nyong’o, and she sustains every moment by distilling innumerable emotional layers — the unshakeable resolve of a mother and wife, the stricken gaze of a trauma survivor, the lingering incomprehension of a lost child — into a performance for the scream-queen history books. All of which would be mesmerising even if Nyong’o were not acting opposite a radically distinct version of herself, or so good at suggesting that the difference may not be so radical. There isn’t a moment when she doesn’t have “Us” in her grip. ‘Us’ releases in the UAE on March 21.